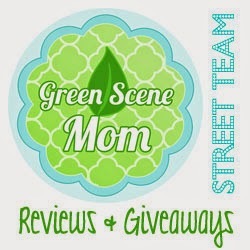 Today's review is from Simple Green. I was sent 3 products for review. The first product is their Stainless Steel which retails for $6.39. Simple Green® Stainless Steel One-Step Cleaner & Polish is perfect for cleaning and maintaining high-end, chrome and stainless steel appliances and surfaces found in modern kitchens. Simple Green® Stainless Steel One-Step Cleaner & Polish is perfect for cleaning and maintaining high-end, chrome and stainless steel appliances and surfaces found in modern kitchens. This ready-to-use, high-tech formula was created to clean stainless steel surfaces of smudges, streaks, fingerprints, and water stains and protected from spills and daily wear-and-tear. Simple Green Stainless Steel One-Step Cleaner & Polish wipes clean for a deep luster that resists fingerprints, water spots and smudges. The non-toxic formula doesn’t build up on surfaces so it’s perfect for everyday use, and safer for use around your family and pets. Simple Green Stainless Steel One-Step Cleaner & Polish is perfect for use on high-end stainless steel and chrome surfaces like those found on modern kitchen appliances, sinks, grills, faucets, fixtures, counters, trashcans, toasters, backsplashes, and more. It also provides an anti-static surface that resists dust, water spots and finger marks. This is great for all of our stainless products in the kitchen. Love this!! Next is their Stone Cleaner which retails for $6.39. Simple Green® Stone products are two products that have been formulated to work as a team to keep surfaces such as marble, granite, quartz, limestone, Corian®, Silestone®, ceramic, porcelain, engineered stone, and more, protected from spills and daily wear-and-tear, sparkling clean and looking like new. New Simple Green Stone Cleaner is non-toxic, biodegradable, and perfect for everyday use. It wipes clean for a shine that resists fingerprints and smudges. New Simple Green Stone Polish conditions surfaces to restore and maintain their luster, leaving no greasy film, sticky residue, or streaks. And it’s safer for you, your family and your pets. Simple Green Stone products are perfect for use on surfaces such as marble, granite, quartz, limestone, ceramic, porcelain, engineered stone, Corian®, Silestone®, and more. We do not recommend using the polish on floors however, as you may risk slipping and falling. Lastly is their Stone Polish which retails for $6.39. New Simple Green Stone products are perfect for use on surfaces such as marble, granite, quartz, limestone, ceramic, porcelain, engineered stone, Corian®, Silestone®, and more. We do not recommend using the polish on floors however, as you may risk slipping and falling. One lucky follower will win the same 3 items that I reviewed. I like the wizard of oz print!